Yeonji Lee as Setsuko Kobayashi in Anchorage Opera's production of "An American Dream"
It’s 1940s America and two women find their lives are inexorably linked: Eva Crowley, a German-Jewish immigrant who has escaped the Nazi regime and Setsuko, a Japanese-American woman taken from her home and held in internment camp by the U.S. government. Although the women come from very different backgrounds, they are brought together and transformed through their loss and perseverance. This is the story told in Anchorage Opera’s second mainstage production of the year, Jack Perla’s “An American Dream.” The story is one that carries weight not only in America today, but Alaska in particular. Following the Japanese invasion of the Aleutian Islands, many Alaska Natives were forced into camps where living conditions were comparable to those of prisoner-of-war camps. In 2016, historical evidence surfaced that revealed that Joint Base Elmendorf-Richardson (then Fort Richardson military base) was once the site of an internment camp for Japanese Americans. Anchorage Opera general director Reed Smith said during their past few seasons, the organization has tried to feature pieces with social relevance, especially to Alaskans. “It’s important for us to reach as many people in the community as we can and to demonstrate that opera has something to say,” Smith said. Since the premiere of “An American Dream” in 2015, political rhetoric has been dominated by the topic of immigration, and many humanitarian crises around the world have reached dire levels. Smith said performances of the opera can serve as a stark reminder of a dark time in U.S. history. “Just look what’s happening in the world … the resurgence of xenophobia, all of that is depicted in this piece,” Smith said. The opera itself breaks ground as a contemporary work. It calls for a small, conducted, chamber orchestra and with a cast of five, the closeness and intimacy of the work is well suited for the Sydney Laurence stage. The music is rooted in traditional forms but speaks a fresh harmonic language. Perla fuses aspects of spectralism with the transparency of the celebrated chamber operas of Benjamin Britten. They share many similarities - in language (English, still an uncommon choice for many opera composers) and scale, but Perla’s work remains a distinct and innovative sound world. At a preview event last week, members of the cast, accompanied by pianist Richard Gordon, performed scenes from the opera. Throughout the short selections, it became clear that, though the music certainly resonates, the story reigns supreme. Opera is a tradition rooted in prestige and celebrity, where the lead tenor or soprano garners the most praise, and this focus on the narrative is refreshing and surprisingly uncommon. Libretist Murphy Moo and Perla have crafted an entirely authentic story - one that draws the listener in, and imbues them with a sense of urgency and empathy. 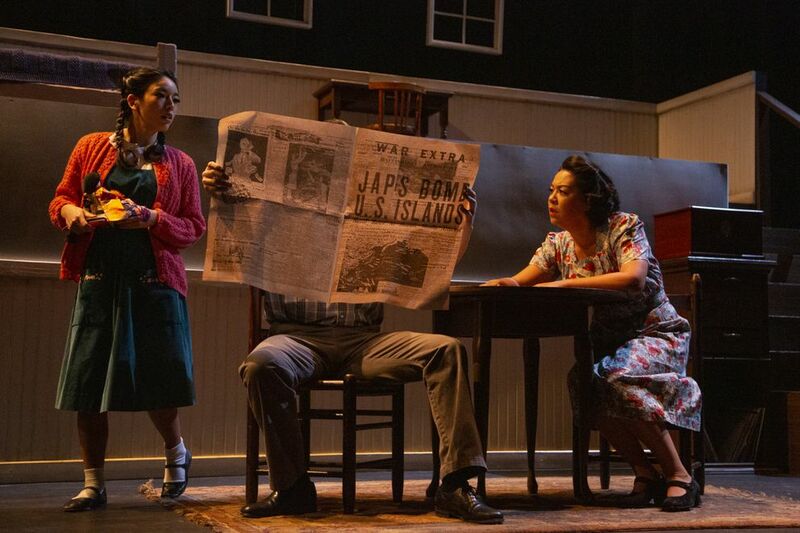 Anchorage Opera has been working with a number of organizations in Anchorage, Smith said, including the Japanese American Citizens League and the Alaska Jewish Museum, to produce performances that are accessible, respectful and meaningful to the greater Anchorage community. 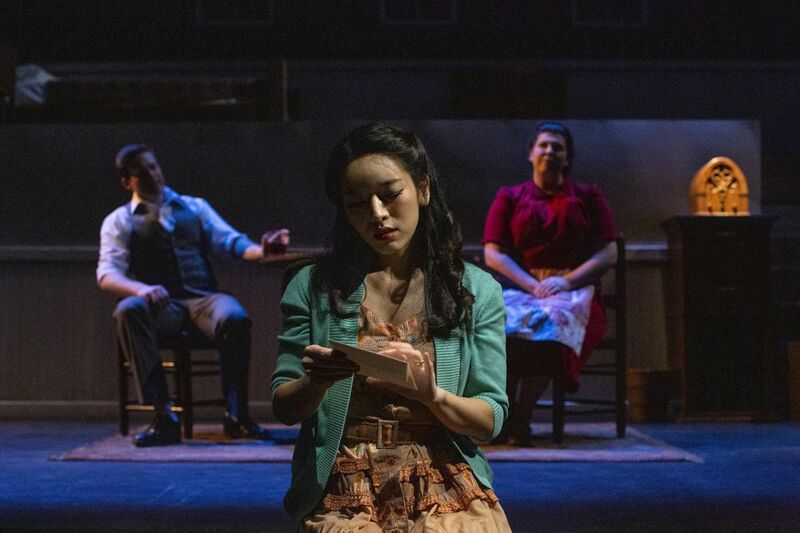 Before each performance of “An American Dream,” the opera will host an exhibit in the Voth Hall featuring organizations dedicated to fighting discrimination. The opera will begin with remarks by Sam Kito Jr. and Sharon Lind, both of whom have direct ties to the internments during World War II. Immediately following the performance, audience members can attend a session to hear from the cast and crew about their experience performing the work. The opera’s season is titled “Through the Eyes of Women,” and features three operas in which women are central characters, as well as a female-led production staff helmed by stage director Cara Consilvio. The season will conclude with a performance of Puccini’s “La Bohème” in April. “An American Dream” is a tale that demands the audience confront America’s history of immigration and xenophobia. 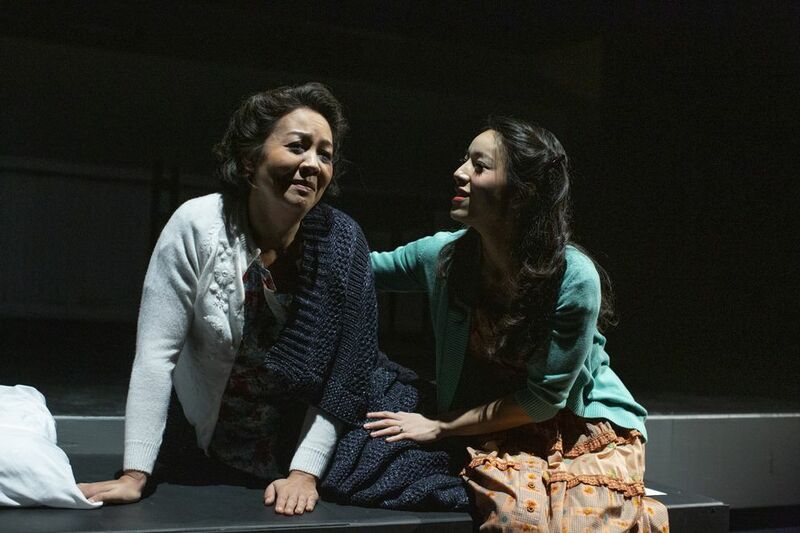 Yoshida Nelson believes opera is uniquely equipped to tell such compelling stories. “We’re lucky with opera, it’s the total package art form. We literally have everything at our fingertips,” she said.